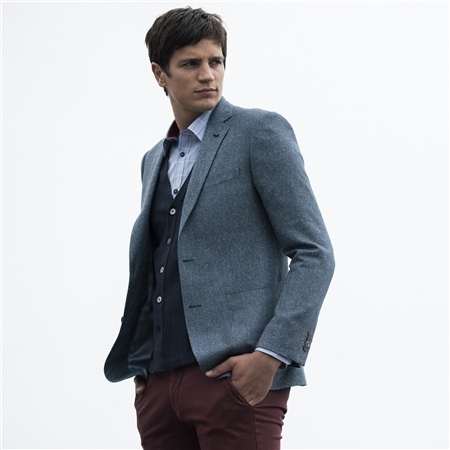 A luxury silk and cotton blue herringbone blazer featuring the characteristic flecks found in a Donegal cloth. This beautiful fabric is designed and woven in our mill in Donegal, Ireland. A great trans-seasonal piece. Please note that the jacket shown in the video has patch pockets and the jacket for sale has straight pockets.